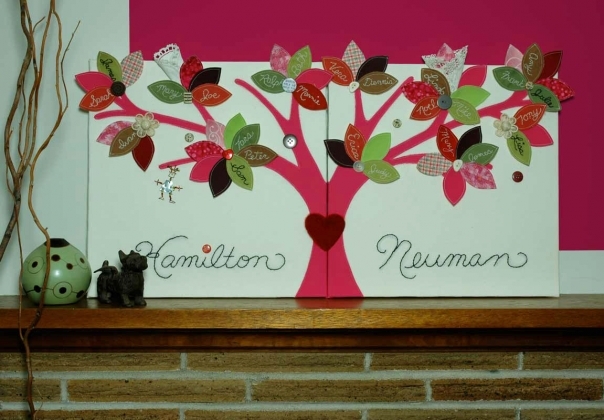 This fun wall art project is sure to get the whole family involved! 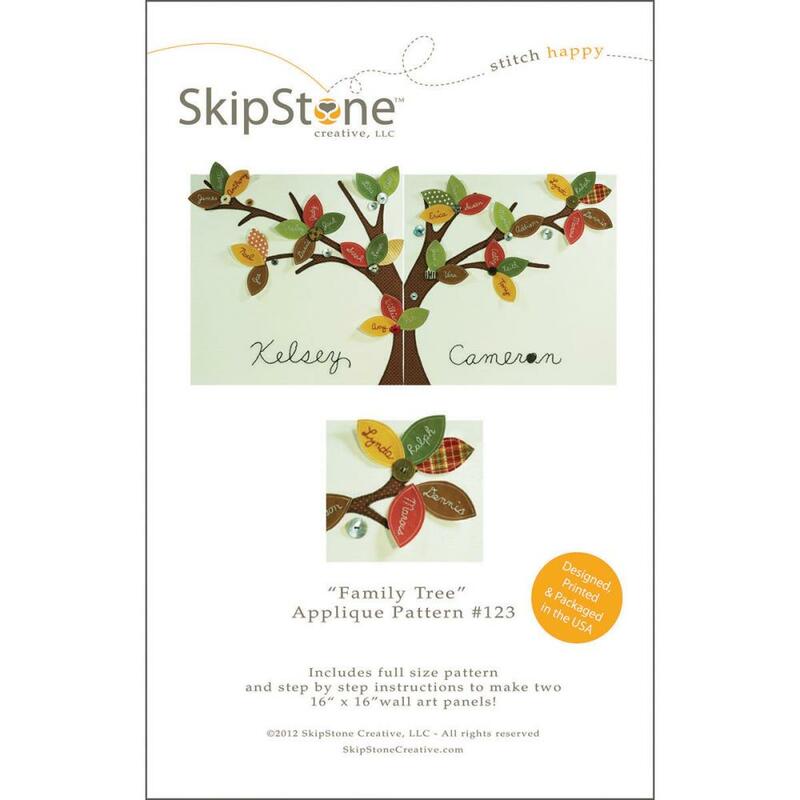 This paper pattern includes step by step instructions and full size tree trunk and leave applique patterns. Add your own personal embellishments to create a true family heirloom. Finish size for each panel is 16" x 16". This project can also be purchased as a Limited Edition Stitch Kit!